The best way to find out how much is to check in with home lenders. They’ll advise you on minimum deposits, your purchasing power, and other factors like mortgage insurance. The least you can get away with is usually about the 5% mark, which is $25,000 on a $500,000 purchase. You should also start investigating the sort of location and house you’re after so you get a realistic picture of the market. In terms of how long it takes, everyone is different but some recent research puts the average time to save for a deposit at just under four years. Once you know where you want to get to, the next question is how to get there. As the saying goes, “if you fail to plan, you are planning to fail.” Or another way to look at it: cutting back on coffee ain’t going to cut it. There’s no getting around it: you’re going to need a plan. 1. Double down on debt: If you’re carrying historic debts, now is the time to consolidate them, then clear them to avoid paying extra interest. Take care of this first before you start saving. 2. Track your spending and create a budget: “You can’t manage what you can’t measure”. Successful saving is made much easier when you know your budget and can see where you’re spending. The good news? 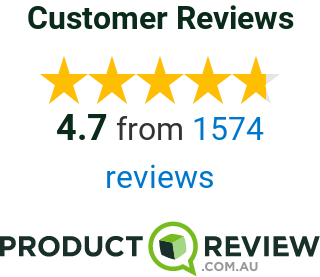 There are a huge array of apps to help you do this - check out this review for Australian savers. 3. Snip and save: It’s time to take a long look at your lifestyle and work out what you’re prepared to sacrifice to get ahead. Big ticket items include renting out a room, moving back home, downsizing your car or getting rid of it all together and taking local holidays. Smaller ticket items? Eating and drinking at home rather than dining out, buying in bulk and at cheaper chains, and reducing recurring fees like gyms and media services. 4. Earn more moula: It’s not all about your current paycheck. Get creative and think about how you can bring more money in to boost your savings. First things first, focus on your current career. Can you apply for a promotion, ask for a pay rise or even change jobs (if it makes sense given your situation)? Or are there other opportunities out there? Can you use your skills to take on freelancing work, or take a second job? With platforms like Uber, Upwork and Airtasker, you can easily turn your side income on and off as it suits. If you’re comfortable, you can also look into making investments if it fits your saving timeline. 5. Create healthy habit: The #1 tip here is to pay yourself first. Automatically transfer savings to a high interest account when your pay comes in and decrease the chance that you’ll overspend. Other handy hints: if you’ve got a credit card habit, learn to live without them, limit impulse spending and shopping-as-entertainment, and become more mindful of both your savings goal and spending decisions. If you want to start saving for a house deposit, talk to your friendly G.J. Gardner Homes office first. They’ll give you useful advice to get you started and help you decide whether building a new home is right for you.